Montsegur is located at a mountaintop in the Pyrenees at 3000 feet. The mountainside drops almost straight down on all sides, least steep at the southwest side. Three parallel defensive walls have been built here. To the east is a crest. 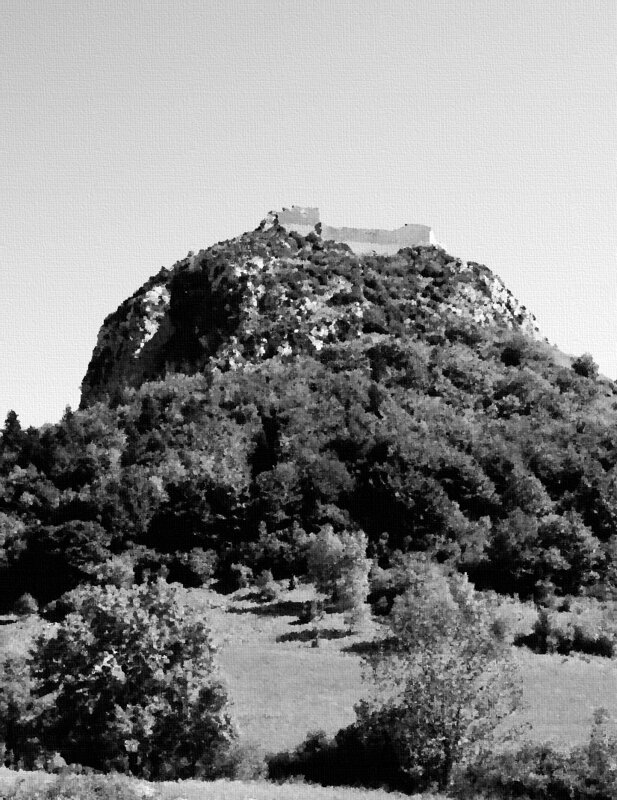 Closest to Montsegur in this direction is a quarry, which originally provided building material for the castle. A bit farther away is a small outpost. Even farther, to the northeast at the far side of the wooded crest stands a watchtower. The two gates to the courtyard can both be watched from the overhanging wooden walkways above and around them. To the east, on heavy, horizontal beams, hangs a wooden platform. On the terraces just north of the fortress lies a cluster of shelters. Inside the courtyard, several small wooden sheds lean against the solid stone wall. There is a stable as well. Three stairs lead to the wooden fortifications along the top of the walls. To the north-west, the tower where the lord of the castle resides with his family can be seen. The entrance is at the second floor by a wooden stairway. Great vaulted rooms below the castle tower contain big reservoirs of collected rainwater all year around. From the top of the tower, the village at the foot of the mountain can be seen.